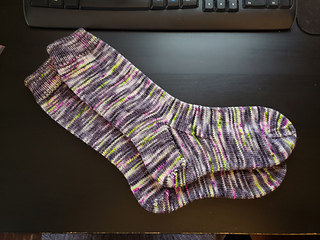 This free pattern is meant to act as an all-inclusive guide for some common methods for knitting a sock heel. Going into this project I had only done the classic heel flap method myself, but I had wanted to learn some new techniques for a long time – both the short row and afterthought heels proved very easy to pick up, and I was so excited to learn them that I just had to pass on the love. 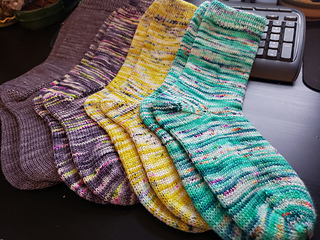 Here I present these three methods for a sock heel (including the heel flap, the short row heel, and the afterthought heel) with detailed instructions and visuals for each method. 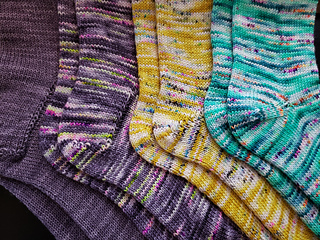 I hope that you enjoy knitting them as much as I did. In this pattern I also included one of my favorite design elements: the folded cuff. 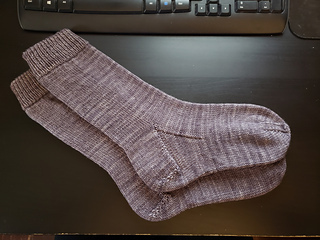 While it is an optional element, I provide instructions for knitting a permanently folded sock cuff which is worked using a provisional cast on and later joined. 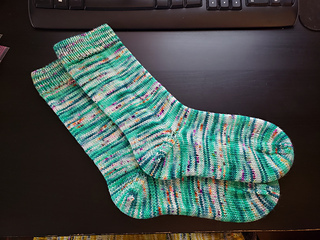 It works up a bit tighter than a regular sock cuff for a sock that doesn’t slouch down to your ankle. Note: A kind raveler brought it to my attention that the afterthought heel method that I describe is traditionally called the forethought heel - a true afterthought heel involves knitting a long continuous tube for the length of the ankle and the foot, then picking up sts along two rows and cutting the knitting between these rows. I have decided to leave my pattern as is because it seems to me that the definition of the afterthought heel has evolved a bit over time. I may add the true afterthought heel method in time. Thank you! 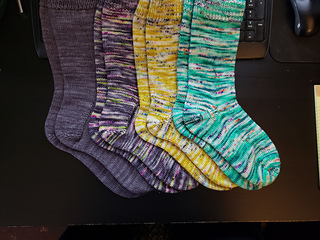 These values are rough measurements – socks are flexible! 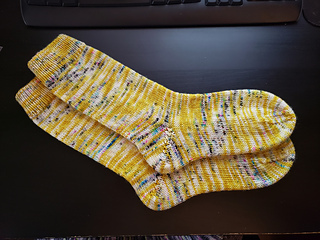 Don’t sweat the gauge or the measurements too much, and if in doubt – round up a size for roomier socks, round down a size for more fitting socks. Cuff is meant to be tighter than most socks, and the leg a bit longer to be worn with boots.